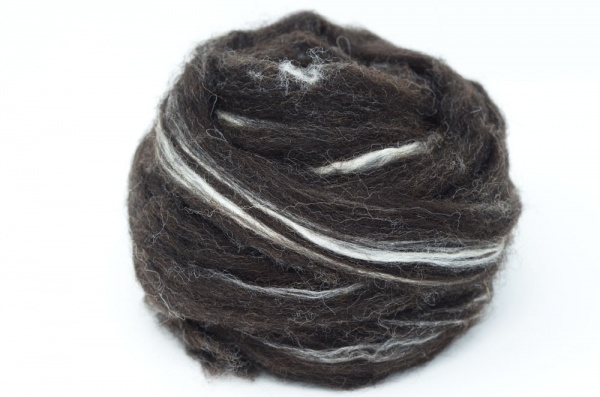 Black Welsh blended with Tussah Silk. These tops are made from the finest selected fleeces, resulting in a good handle. Lesser quality Black Welsh can be very "kempy", with white brittle hair. This is a selected quality to avoid the harsher kemp, not free of it but we reckon its one of the better selections available. A very dark black/brown wool of 48 - 56s quality (30-35 micron) and a staple length of 8 - 10cm. Blended with white Tussah Silk.